Congratulations as we wish to inform you that you are a lucky winner in the STAAT.NL Lottery online international promotions. This program was organized for all email users world wild as part of our summer vacation promotional draws. 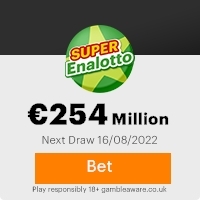 Be informed therefore that you have been approved a winning sum of One Million Euros (1000000.000 Euros) as a category A winner of the total sum of Ten Million Euros shared among 10 lucky Winners. Kindly do not have doubt over your participation in this Promotion, as all Participants were selected through an electronic computer ballot system from over 2,500,000 email addresses of individuals and companies world wild. Provide the following with the Paying Bank to immediately commence the transfer of your winning. N.B: All claims are nullified after 20 working days from today. Congratulations once again from all members of Winx Lotto International. Thank you for being part of our promotional program. Previous: Attention!!!!! !Fresh ScamsNext: DEAR E-MAIL USER!!! This Email with the Subject "Promotional Confirmation" was received in one of Scamdex's honeypot email accounts on Wed, 22 Aug 2007 03:17:24 -0700 and has been classified as a Generic Scam Email. The sender shows as "staat11@terra.es" <staat11@terra.es>, although that address was probably spoofed. We recommend that you do not attempt to contact any persons or organizations referenced in this email, as you may expose yourself to scammers and, at the very least, you will be added to their email address lists for spam purposes.